Do not let your insurance company send you somewhere else-demand to use the experts at Cross Chrysler Jeep Fiat! At Cross Chrysler Jeep Fiat Body & Collision Repair Center our goal is to make your vision a reality. Whether its performing high quality paint repairs, strategic auto body repairs, or offering a locally owned, one-of-a-kind experience, we take pride in our Body Shop. 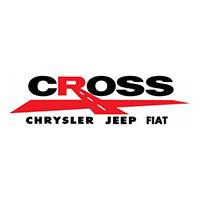 Experience the Cross Jeep difference today by calling, emailing, or messaging us today. We take care of everything from working with your insurance company to arranging a Cross Jeep rental car. Our associates are certified collision repair technicians and we invest heavily into their ongoing training and development. Bring your Car, Truck, SUV or Van to Cross Jeep Chrysler Fiat today and experience our local difference.